Although representing the economic interests of billion-dollar for-profit football teams (minus the differently structured Green Bay Packers), the National Football League is a tax-exempt 501(c)(6) organization, expressly structured that way by federal legislation that also exempted the NFL from anti-trust exposure. As a 501(c)(6), the NFL cannot receive tax-deductible donations, but it is find ways of keeping itself exempt from a variety of state and local taxes. For example, for Super Bowl XLVII, New Orleans city officials committed to reimburse the NFL for $800,000 in sales and use taxes as a condition of the NFL bringing the Super Bowl there. The justification used by New Orleans, like other cities currently negotiating for the Super Bowl, is that the game brings tons of economic benefits. 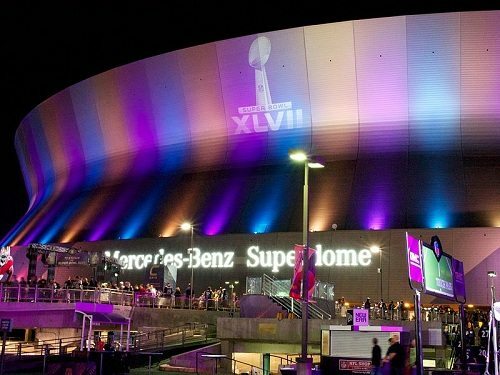 In New Orleans, a recent study contended that the Super Bowl generated $262 million in direct spending and $217 million in indirect spending, yielding $21 million in state tax revenue and $13.9 million in local tax revenue. On face value, those numbers outweigh the $800,000 tax rebate pledged on otherwise taxable elements, such as the NFL’s hotel room lodging, its purchases of personal property needed for Super Bowl staging, and “Super Bowl event receipts” of various sorts. According to the study, NFL and team personnel and their “parties” directly spent $33.7 million, including $12.7 million on hotels and lodging, $3.9 million on bars and nightclubs, $1.4 million on entertainment, and $1.3 million gambling. As the NPQ Newswire has previously noted, the NFL typically negotiates these deals, some more lucrative in tax exemptions than the deal in New Orleans (such as Indianapolis), and most recently had a tax deal on the table for negotiations with Santa Clara, California, and its bid for the Super Bowl in 2016 or 2017. But does the NFL (or its member teams) need exemption from local taxes to make the Super Bowl a viable economic activity? Could the $184 million NFL, and its multiple teams valued at a billion dollars or more, have survived paying $800,000 in taxes to local New Orleans governmental units? There are still plenty of people who think the pro sports tax subsidy—the nonprofit status granted to the NFL, plus the National Hockey League and the Professional Golfers’ Association—is unnecessary, unwarranted, and wasteful. Writing for the Fiscal Times, Steve Yoder lists the pro sports tax exemption as one of the “10 tax laws that hurt the economy the most.” The pro sports tax exemption doesn’t make the NFL a public charity, but in some cases, the NFL is trying to adopt a nonprofit-like posture. In northern New Jersey, where the next Super Bowl will be played in 2014, the NFL is trying to recruit potentially 20,000 volunteers to greet visitors coming to the region. Ten hours of work, in return for being able to wear an NFL volunteer uniform.